89% of consumers viewed online sources of product and service reviews as trustworthy–and another 80% have changed their minds about a purchase based solely on the negative reviews they read. In 2011, 85% of those surveyed said they’d be more likely to purchase if they could find additional recommendations online. A one-star difference in a restaurant rating impacts revenue between 5% and 9%. So, the most trusted and widely used method of expanding your business is to register your business at a trusted business directory and get in touch with your happy customers to get reviews. Hands down, reviews are the best way to build customers trust. As one business owner said; “If I say it, it’s bragging, but when my customers say it, it’s proof.” Reviews are the ‘evidence’ customers are looking for. A recent Nielsen survey found that online reviews build trust more than a television ad, a newspaper article and any other form of media. And guess what? Customers will only buy from businesses they trust. Getting listed in quality directories and getting reviews can just do the trick. 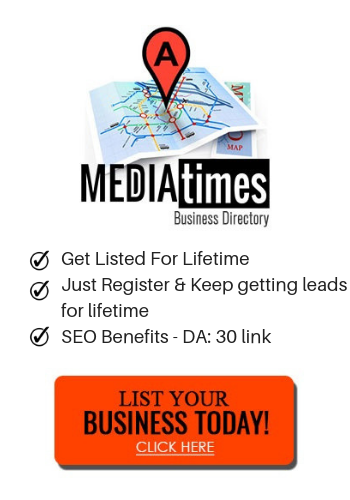 For instance, directories such as MT business directory offers free listings and users often visit this site to share their experience via online reviews. Once customers see positive reviews for your business, you’ll spend less time and energy selling—leaving more time to actually provide the service. Many businesses instruct every customer to read their reviews before they even start any serious discussions. The reviews themselves do the selling and once they get to you, they’re ready to purchase. Even the best businesses have some unhappy customers and it’s true that you might get a negative review. However, while one negative review on its own can have an adverse effect on business, one negative review amongst several positive ones won’t have much impact at all. Building a bank of positive reviews is the best way to offset any unfavourable feedback that comes through in the future (whether it’s from a review, comments on Facebook or Twitter or somewhere else). It’s about building a positive online reputation before you have a problem to deal with. Unfortunately, many businesses aren’t that interested in improving and consequently, miss significant opportunities. The insights gained from both positive and negative reviews can help shape the direction of your business (and it’s a lot easier and cheaper to do than commissioning market research). Any SEO expert will tell you to get listings on local online directory sites and create original content about your business. Customer reviews cover both bases and are naturally SEO gold. Google likes fresh information so each time you get a new review, your page is given a little more weight. What’s more is that your customers describe your business using highly relevant words and phrases—usually a close match to the phrases potential customers are searching for. Even if you already have a strong web presence, your reviews will contain different words and phrases and get you found by more people (remember, it’s not just about being found when people search for your business name). Laser Cutting Machine: What Is It and What Is It Used For? How to get FREE TRAFFIC to your site? Most widely used marketing techniques that are helping millions of businesses GROW around the world!